‘Les vendanges’ is the annual harvest in Bordeaux. Harvest time is one of the most exciting times to visit Bordeaux – here’s why. There’s nothing better for a wine lover than to be at the harvest in Bordeaux. It’s a time when you can see first-hand how some of the best wine in the world is made. It’s an exciting and spectacular time to be in the vineyards of Bordeaux. ‘La vendange’ is unique in French culture. It refers to the harvest of grapes for wine production. It doesn’t include the harvest of grapes for grape juice or table grapes. The harvest in Bordeaux is all about the wine. The harvest in Bordeaux, like in other parts of France, is the fruition of a full year of planning and hard work. It’s the end of a year tending to the vines, lovingly pruning them and watching over them – and praying for the right weather conditions for a quality crop. When does the harvest in Bordeaux start? The harvest in Bordeaux is a waiting game. Growers need to choose just the right moment to start their harvest in order to ensure the best possible wine makes it into their bottles. The timing of the harvest is perhaps the most importance decision growers, winemakers and chateau owners make all season. It can be a stressful time for people working in the industry. Grapes are usually harvested from September onwards, but this depends on the style of grape, the location and the weather. Sometimes the harvest in Bordeaux starts in August, or as late as October. Dates change from year to year, from area to area, and even chateau to chateau. Different varieties of grapes ripen at different rates. 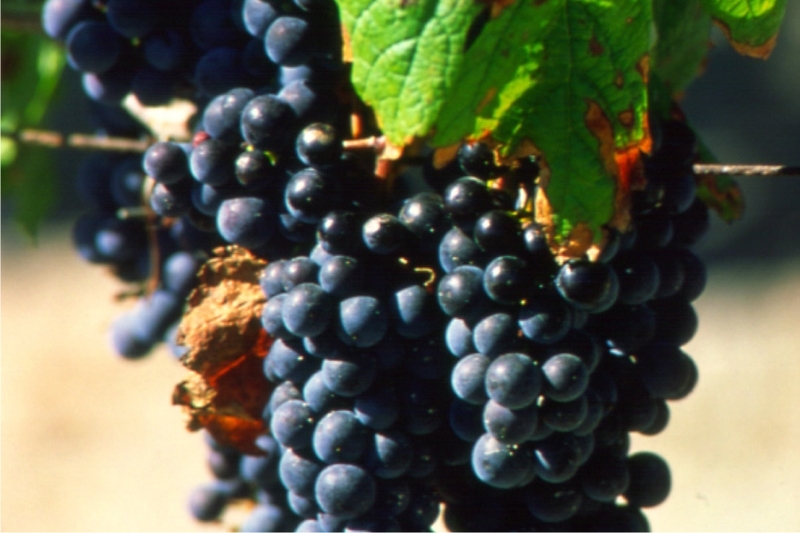 In Bordeaux, for example, there will often be different harvest dates for Merlot and Cabernet Sauvignon, even if they are growing on the same estate. These grapes don’t grow at the same rate or ripen at the same time. Different grapes ripen at different times. Grapes destined to for dry white wines – such as Sauvignon Blanc – are usually harvested first. Again it depends on the year, but this generally starts in late August or early September. Then come Sémillon grapes later in September, followed by Merlot, Cabernet Sauvignon and Cabernet Franc – usually but not always in that order. The last grapes to be harvested are sweet white grapes as late as October. That means some of the last areas to harvest in the Bordeaux region are Sauternes and Monbazillac, both famous for their delightful dessert wines. Sweet wine grapes are left to dehydrate naturally on the vine. This process helped by ‘noble rot’, a type of mould that reduces the water content in the grapes and leaves a raison-like texture. Experience and knowledge still play huge roles in winemaking. The decision to harvest in Bordeaux will often be made after a winemaker walks a row of vines taste-testing until the grapes meet expectations. By tasting the grapes, an experienced winemaker will know when the time is right to start the harvest. However many Bordeaux winemakers are also turning to technology to help take the guess work out of the harvest. Computer data and drones are now widely used to monitor grapes, analyse levels of acid and predict outcomes. Picking too early or too late can affect the balance of the wine – getting it just right is key. Choosing to harvest means the balance on the vine is just right. It means the sweetness of the grape itself is just right, but it’s about more than just the grape. The entire plant needs to be perfect. The seeds, the skin, the tannins, and the stems can all influence the balance and the quality of the wine. They can impact colour and aroma as well as taste. When all these elements come together, the grape is said to have a ‘full phenolic ripeness’. It’s this ripeness that results in the wonderful taste sensation that comes with a perfect glass of wine. Once the winemaker gives the green light to the harvest, a chateau becomes a magical hive of activity. While mechanical harvesting is used on some estates, many leading chateaux in Bordeaux still pick by hand. 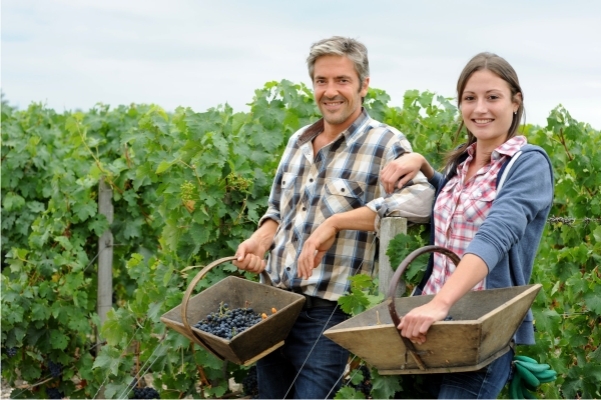 Pickers – called ‘vendangeurs’ – include local and seasonal labourers, friends and family of winemakers, volunteers, students, and tourists who come together to experience the excitement of the harvest. Picking can be hard work, often starting as early as 6.30am and involving long days of bending, standing and carrying. Perks include accommodation, free lunches and evening feasts and, of course, wine! After the grapes are harvested, they are run through a de-stemmer before being sorted on a conveyor belt. That’s when the poorer quality fruit, leftover stems, leaves and snails are all discarded. Some wine estates have now switched to mechanical technology, but many chateaux continue by hand as they see it as a guarantee of both quality and tradition. The best grapes are then put into giant vats to be crushed and made into wine juice. 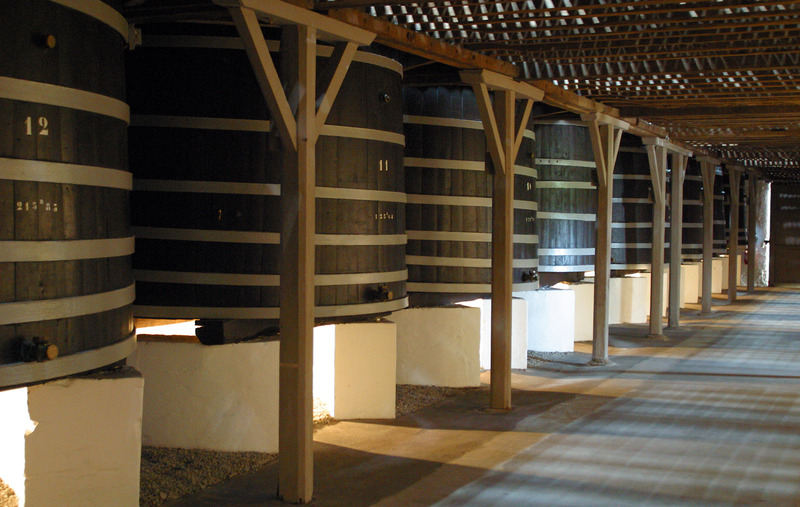 Fermentation takes place in barrels or stainless steel vats, often for many months. The winemaker then injects his or her own ‘savoir faire’ – or know-how – to create the perfect wine. If different grape varieties are used, the ‘assemblage’ or blending of the wines takes place to create a own unique wine that becomes the hallmark of the vineyard and the vintage. Visiting the harvest in Bordeaux is a magical experience. It’s also a busy time when seasonal workers from across Europe descend on Bordeaux to help growers with la vendange. Accommodation can be scarce – and expensive. At Greens & Grapes we work with a range of accommodation partners to ensure our guests get the best available accommodation. 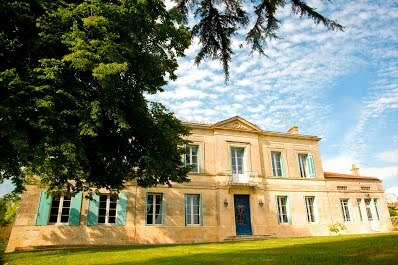 We also have very own self-catering apartments in central Bordeaux. Harvest time in Bordeaux is a busy and stressful time for winemakers and chateau owners. Their year’s labour depends on the harvest, and many do not accept tourists during this time. At Greens & Grapes we work with a small selection of vineyards, local wine communities and tourist boards to provide our guests with a unique Bordeaux harvest experience. This includes chateau visits during the harvest, as well as special events such as lunches and local celebrations, and a visit to La Cité du Vin. Contact us today to arrange your perfect harvest in Bordeaux golf holiday.